The study found that 52% of coral area was impacted – 19% pale, 11% bleached, 5% partially dead and 18% recently dead. 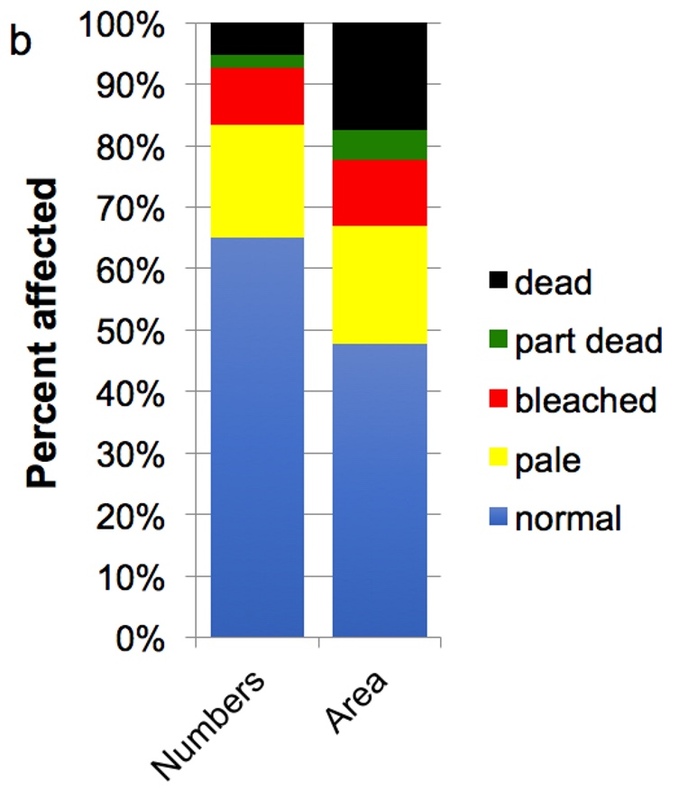 Acropora, the dominant genus, was the second most susceptible to bleaching (22%, pale and bleached) and mortality (32%, partially dead and dead), only exceeded by Pocillopora (32% and 47%, respectively). The majority of genera showed intermediate responses, and a small number almost no response. 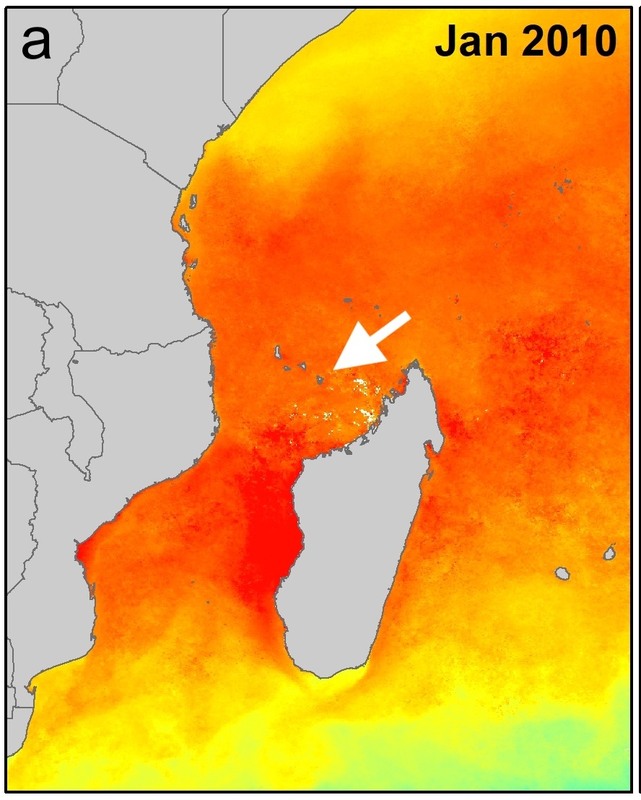 A linear increase in bleaching susceptibility was found from small colonies (< 2.5 cm, 83% unaffected) to large ones (> 80 cm, 33% unaffected), across all genera surveyed. 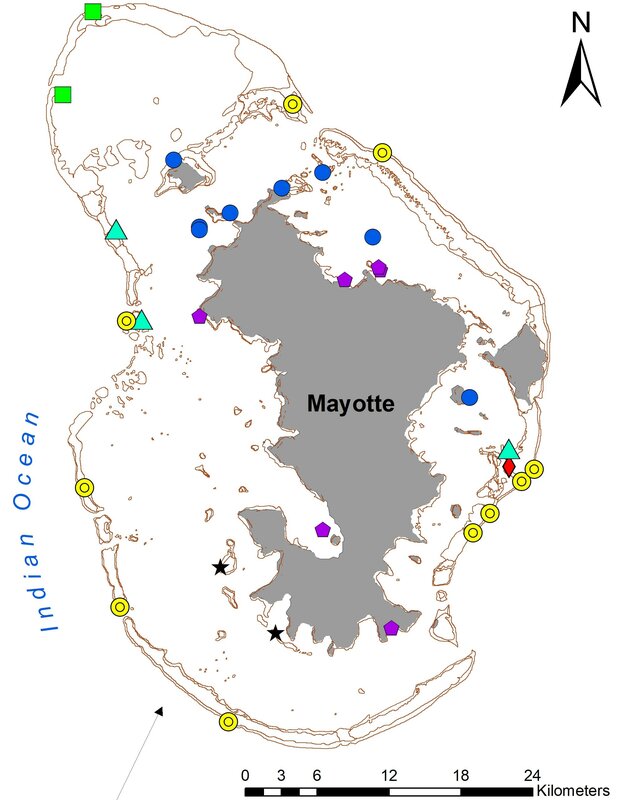 Maximum mortality in 2010 was estimated at 32% of coral area or biomass, compared to half that (16%), by colony abundance. >> evidence of chronic mortality from local human impacts is increasing. >> weighting coefficients in the calculation of indices should be used with caution.